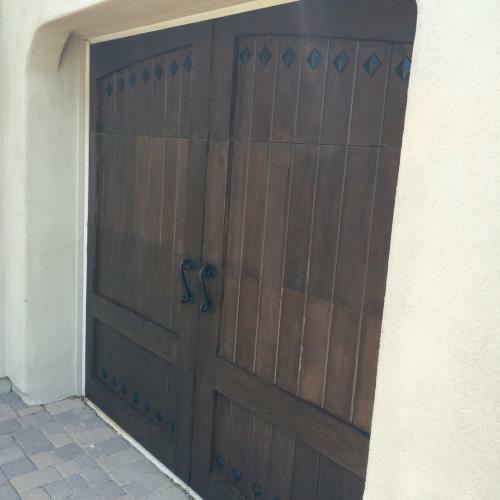 All of our wood garage doors are hand made by skilled craftsman. Each door is built to order. We work closely with designers, architects, and homeowners to design and build some of the most beautiful garage doors around. If you are considering a wood garage door for your home, give us a call and talk to one of our design specialists today. We will go through all your options from wood species to decorative hardware. These beautiful doors are built using reclaimed wood from old barns and fences. There natural patina finish can be a variety of browns, grays, and whites. We can build these doors in just about any design you can imagine. 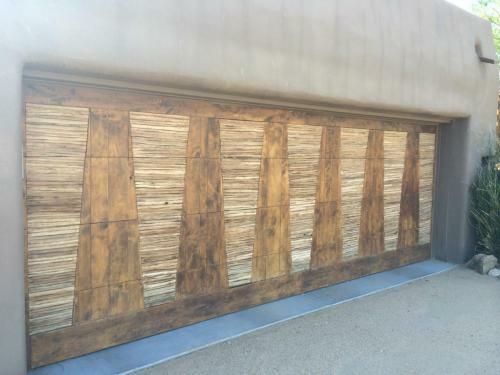 If you think a reclaimed wood garage door is for you, give us a call today. We have a knowledgeable staff member waiting to answer all your questions.